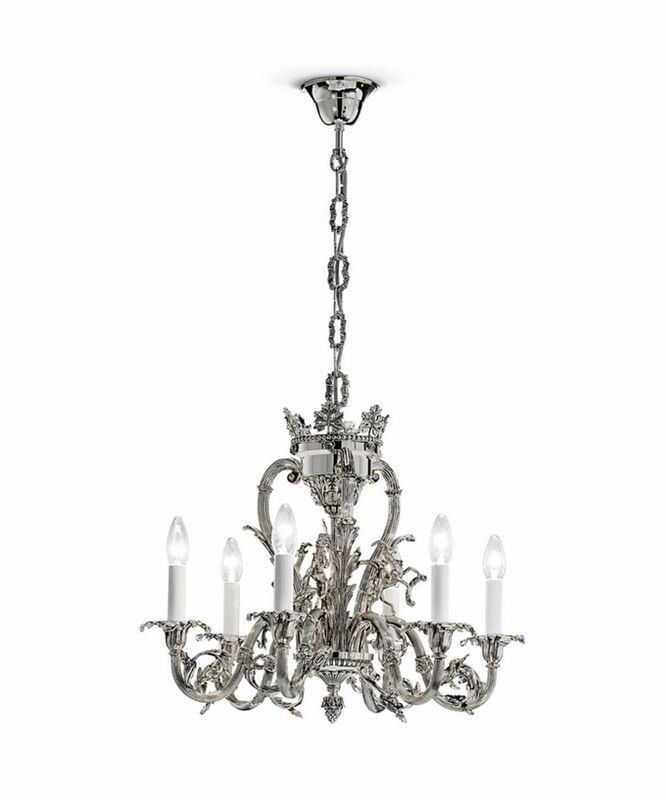 A smaller version of our model no CF 606 the rococo “Louis XV” 6 light chandelier. Cast brass finished in antique silver plate. The lost wax cast decorative details invoke the exuberance of the French 18th Century.